On May 6, 2018, about 1510 eastern daylight time, an experimental, amateur-built Apollo AG-1 gyroplane, N141C, was substantially damaged when it collided with power lines during a precautionary landing near Smith Beach, Virginia. The private pilot sustained minor injuries. The gyroplane was operated by the private pilot as personal flight conducted under the provisions of Title 14 Code of Federal Regulations Part 91. Instrument meteorological conditions prevailed and no flight plan was filed for the flight that departed Halifax-Northampton Regional Airport (IXA), Roanoke Rapids, North Carolina, about 1330. The flight was destined to Accomack County Airport (MFV), Melfa, Virginia. The pilot reported that he started to fly across the Chesapeake Bay to the Cape Charles VOR at 1,300 ft above ground level. As he approached the shoreline at the Cape Charles VOR, he turned north toward MFV. At that time, the cloud ceiling began to lower very rapidly, so he made the decision to land at a private airstrip prior to MFV. He mistook a road for the private airstrip and the gyroplane collided with power lines during the attempted landing. The pilot added that there were no preimpact mechanical malfunctions with the gyroplane. Examination of the wreckage by a Federal Aviation Administration inspector revealed that it was intact and resting on its right side on a road. The inspector noted that the fuselage sustained substantial damage. He did not observe any anomalies with the flight controls and was able to successfully test-run the engine on the airframe. The recorded weather at MVF, at 1515, was: wind from 170° at 4 knots; visibility 1 3/4 miles in mist; overcast ceiling at 500 ft; temperature 18° C; dew point 17° C; altimeter 29.85 inches of mercury. 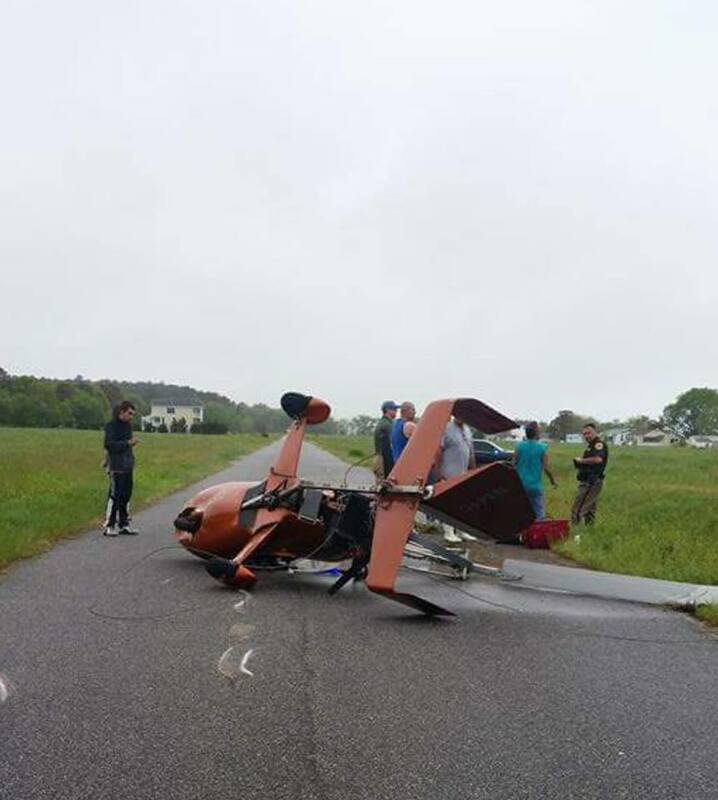 The pilot also reported that utilized weather equipment onboard his gyroplane, but did not receive a weather briefing from flight service. 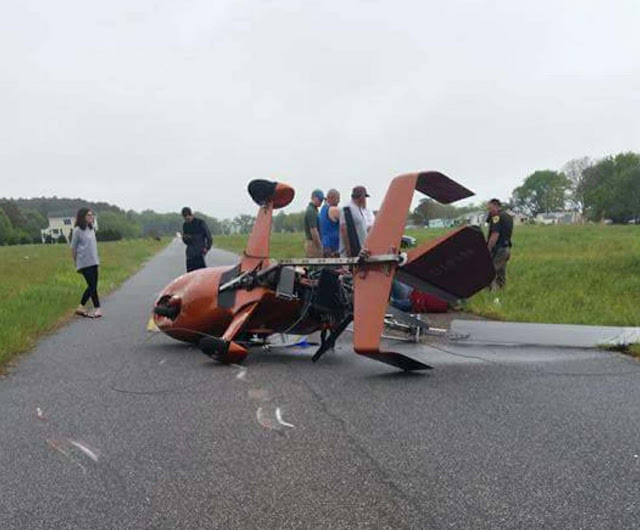 NORTHAMPTON COUNTY, Va. - Law enforcement and first responders are on-scene of a autogyro crash that happened in Northampton County on Sunday. According to officials, Local dispatch received a call about the crash around 3 p.m. in the 16000 block of Candy Lane in Cape Charles. 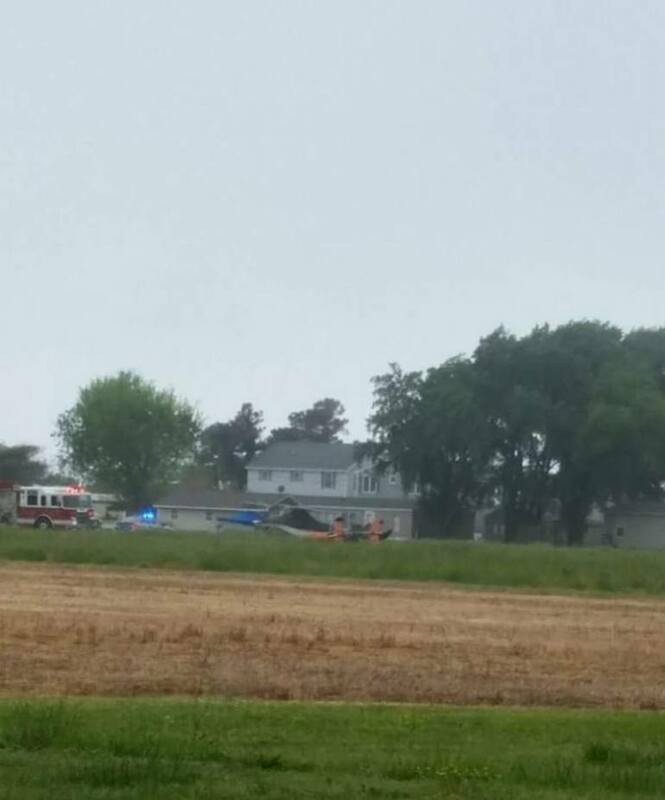 They say that the autogyro hit power lines near the intersection of Smith Beach Road and Candy Lane, causing the aircraft to crash. The pilot was the only person in the autogyro, and is being attended to by local EMS. The extent of his injuries are unknown at the time.